We’d love your help. 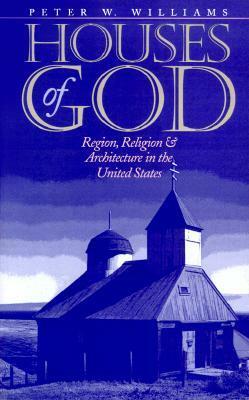 Let us know what’s wrong with this preview of Houses of God by Peter W. Williams. Houses of God is the first broad survey of American religious architecture, a cultural cross-country expedition that will benefit travelers as much as scholars. Beautifully illustrated with over 100 photographs — some by well-known photographers such as Walker Evans and Dorothea Lange — this handsome book provides a highly accessible look at how Americans shape their place Houses of God is the first broad survey of American religious architecture, a cultural cross-country expedition that will benefit travelers as much as scholars. Beautifully illustrated with over 100 photographs — some by well-known photographers such as Walker Evans and Dorothea Lange — this handsome book provides a highly accessible look at how Americans shape their places of worship into multifaceted reflections of their culture, beliefs, and times. To ask other readers questions about Houses of God, please sign up.